ACCESS is an accessible art or cultural outing, hosted monthly by A4A, for individuals and families of children with disabilities, and their peers. Outings occur in various community locations, and also include quarterly dances at the Traverse City Elk’s Lodge. 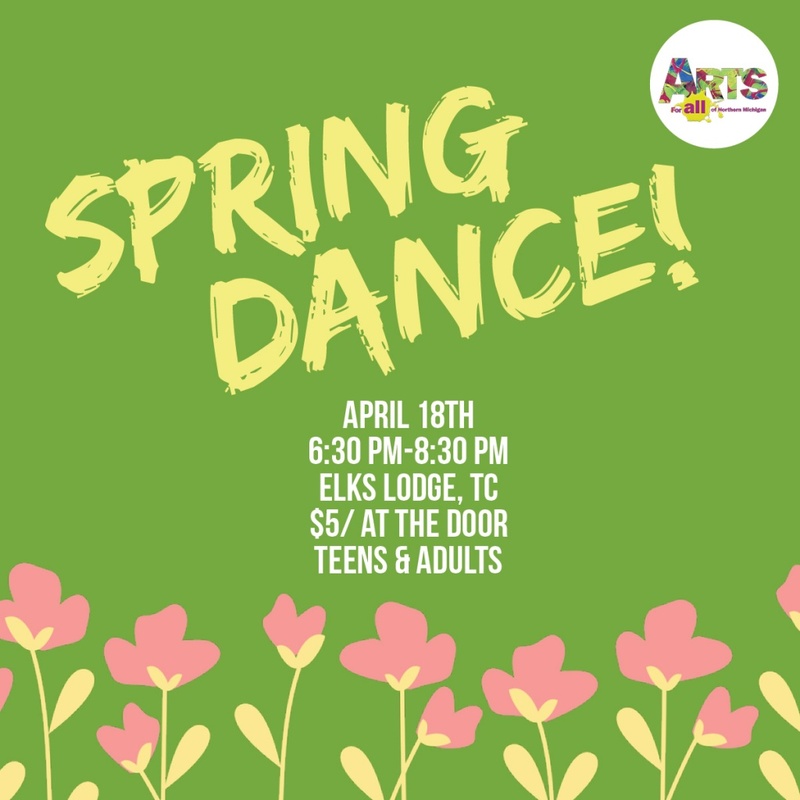 All dances will be at the Elk’s Lodge located at 625 Bay St.
We always need volunteers to bring healthy snacks and chaperone, visit our volunteer page to learn more! A huge THANK YOU! to the Elks Lodge of Traverse City, and Mr. Music DJ! Please be sure to fill out our Registration Release form before attending any Arts for All Events. We made it easy to fill out online! Just download, fill out the required areas and e-mail back to grace@artsforallnmi.org ! 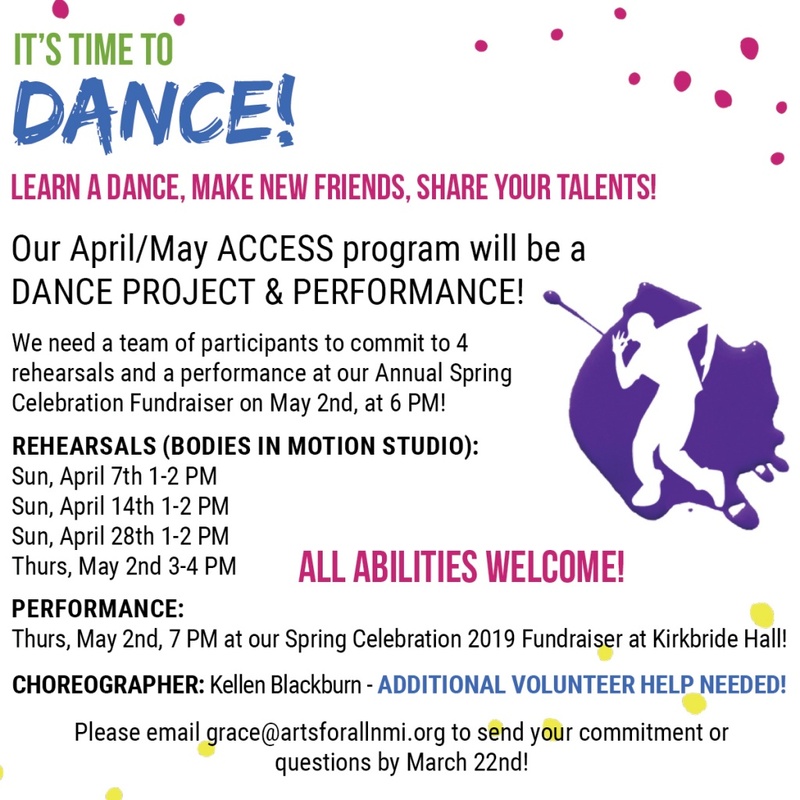 April/May ACCESS— Learn to dance, make new friends & share your talents! We need a team of participants to commit to 4 rehearsals and a performance at our Annual Spring Celebration Fundraiser on May 2nd, at 6 PM! Snow is starting to melt and flowers are on the way! Let’s dance in celebration!